For all the Galaxy S8 owners fed up with summoning Samsung’s digital assistant every time they accidentally tap the Bixby key, there’s finally a fix for your frustration. Samsung sent out a new update for the S8 today that lets you disable the button entirely, and the process is pretty simple. All you have to do is update Bixby from Samsung’s Galaxy Apps store, then tap the toggle that says “Don’t open anything” under the new listing for the Bixby Key in the Bixby Home settings menu. That’s it, you’re done. But really, Samsung still has work to do. While you no longer have to deal with Bixby piping up randomly, you’re still left with a useless button on the side of your phone. What Samsung really needs to do is bring this thing full circle with an update that lets users reprogram the Bixby button to open any app on their phone. 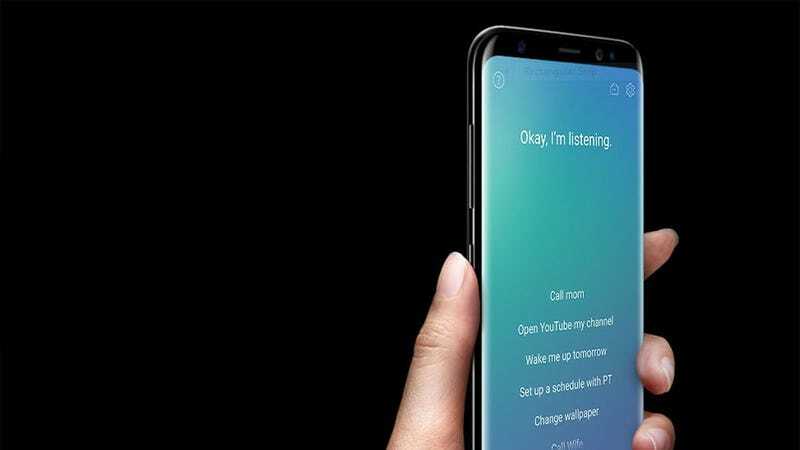 In fact, reprogramming the Bixby button was such a desired feature that when the S8 first came out, many people resorted to hacking their phones and installing third-party apps to add this feature to their devices—that is, until Samsung shut those methods down. As annoying as the Bixby Button was, it’s important not to lose sight that putting an extra button on the S8 wasn’t really a bad idea. Samsung’s misstep was locking it down to a single feature that many people don’t want to use—especially since you can still talk to Bixby by simply saying its name aloud. On top of that, Samsung has put programmable buttons on the sides of its Galaxy Active phones for years, so it’s not like this is a herculean task to accomplish. AndSamsung needs to let users decide for themselves what their most important app is, whether it’s streaming music, social media—or, in fact, a digital assistant. After all, the whole point of tech is to give people options. Updated with additional context about users hacking the Bixby button.